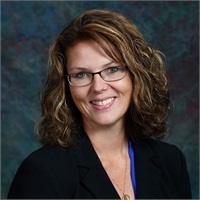 Rhea Lange obtained her Bachelors of Science degree in Business Administration from Lindenwood University and more recently her Masters of Science in Accounting from Liberty University. She has been employed with Cindy J. Burke, LLC for seven years initially working in a data entry position before eventually working her way up to her current position as senior accountant. Rhea resides in Warrenton with her husband Josh Lange, and two children, Emma and Jacob Lange. Warrenton has been her hometown since birth and she is delighted to be working in this community.